Jordi Torres (MV Agusta Reparto Corse) recorded the best lap of Free Practice Three, pushing above the two Pata Yamahas in the Friday combined standings and closing in on the top four. The rider from Rubí – only a couple of hundred kilometres away from the Aragon track – has had a rough start to the season with two retirements in four races, but on Friday he showed good pace and should be a strong contender for the top spots on Saturday and Sunday. The Spaniard would have liked to test the bike further, but as for everyone else the rain got in the way. However, there were many positives from the sessions. “Yeah at the end we did some fast laps, I have a lot of confidence in this track”, he said. With the weather we couldn’t do a long run, to maybe try the race tyres well, but at the end we did faster laps. But tomorrow we need to do faster laps, because the gap from the front guys is very long. Tomorrow we may have some different settings to try and improve a little”. 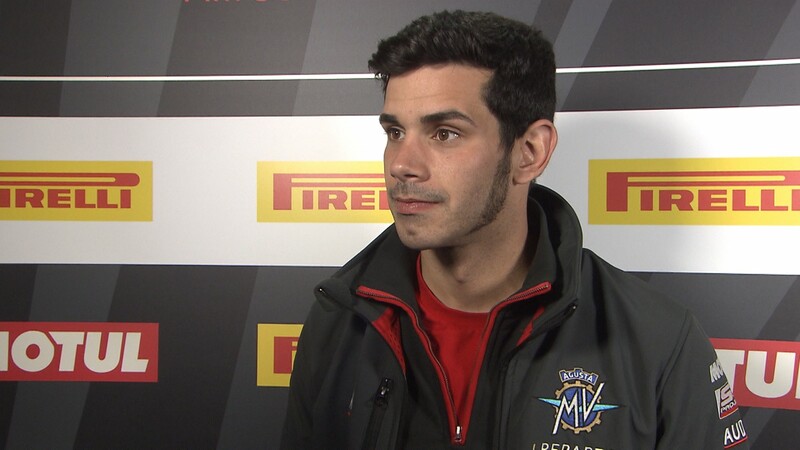 MV Agusta have struggled at MotorLand Aragon in the past few years, but Torres is hoping to buck the trend this weekend: “It’s fun to go directly to the Superpole 2, but we know that in the past this track, for MV Agusta, the performance has not been too good. But this year we worked a lot – I think we always work a lot in MV Agusta, but this year maybe we have some different improvements. 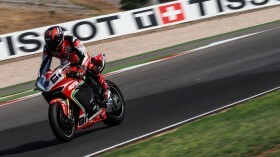 Also in the past in MV Agusta we have caught these improvements and brought them there. 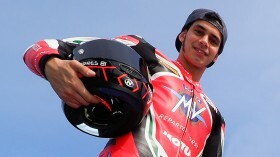 I’m very confident I can run fast here, also to take this different kind of corners, and I feel easy to do everything”. Follow Torres' performance throughout the #AragonWorldSBK weekend, thanks to the WorldSBK VideoPass.